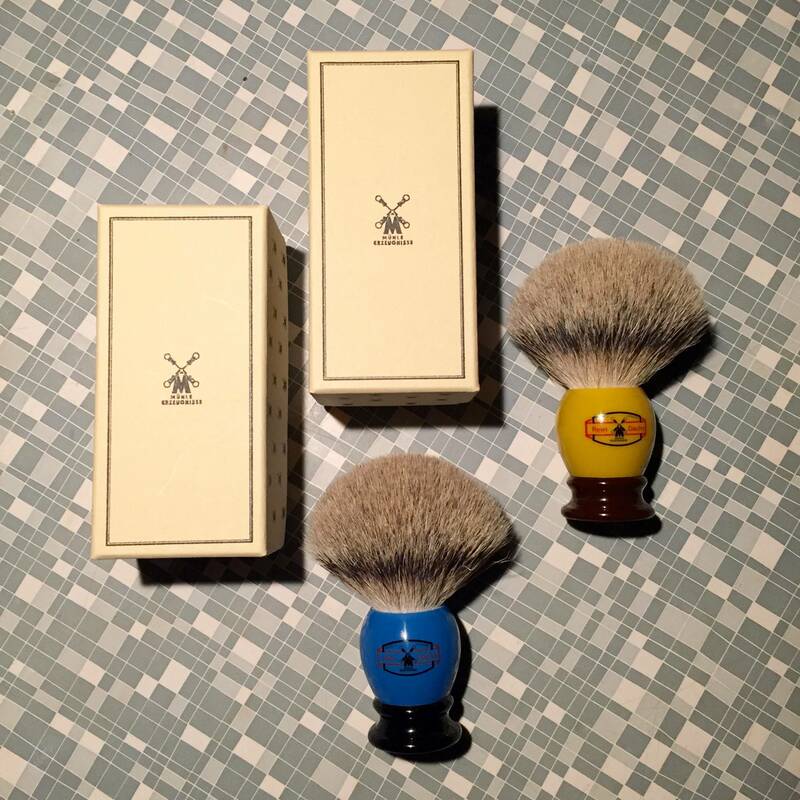 i have 2 mühle retro brushes in perfect condition, and would like to trade each of them for a simpson 58. i wish for symmetrical brushes that have been purchased relatively recently. the mühle retro brushes were a limited edition run 2 years ago and handmade by mühle in germany. the hairs are unbleached and tips are soft and luxurius. i purchased them directly from the maker. i will also consider to trade the mühle retro brushes for a thäter 4125/2 2 band. you get both brushes for one thäter 4125/2 2 band brush. Nice brushes there. How they perform? i'm terrible at explaining brush behavior with words. they are on the big side, medium backbone but not at all floppy. brush knots are very dense and symmetrical, although they look a bit unsymmetrical on photo because of dark shade on their right side + camera distortion. the hairs are silvertips, and are much softer than my daily driver simpson 58. both brushes are of course non shedders and the traditionally shaped handles with striking colors are comfortable, and they have been taken well care of. mühle made 500 of each color (4 different).